FRONT ROW (left to right): President Andrea Herbst, '66; Treasurer Elaine Campbell, '71; and Vice President Georgene Roman, '66. 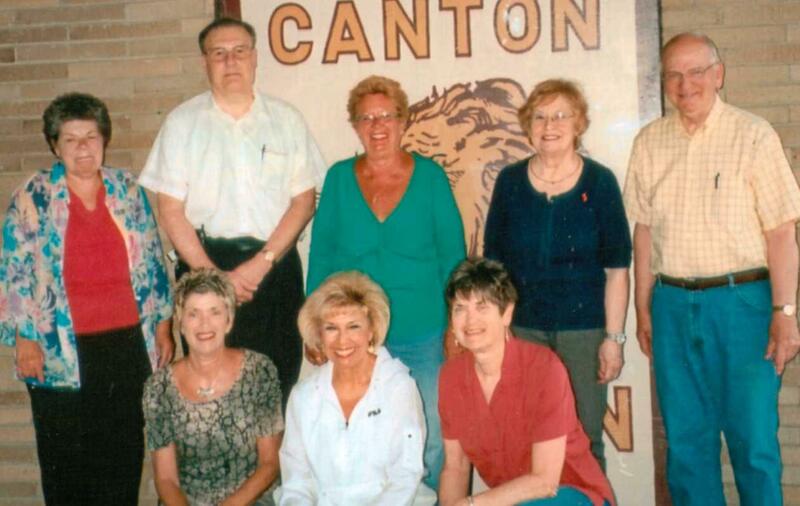 BACK ROW: Trustee Donna "Deb" Denney, '65; Trustee Ed Hostetter, '68; Secretary Diane Zazula, '62; Trustee Karen Fashbaugh, '61; and Historian Gary Love, '55. ABSENT FROM PHOTO: Past President Peggy Robart, '66; Trustee Judy Kackley, '60; and Trustee Dale Jacobs, '76.